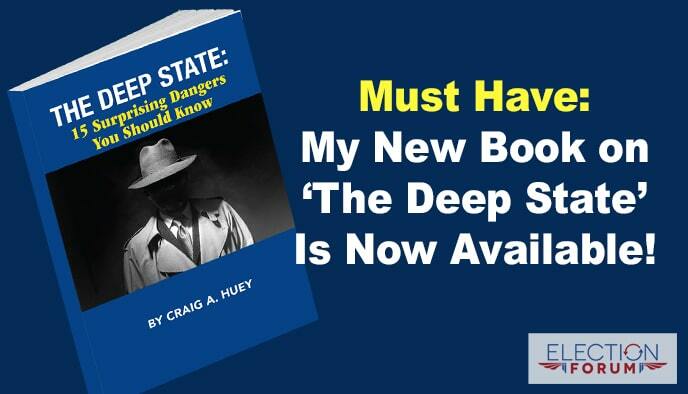 Must Have: My New Book on ‘The Deep State’ Is Now Available! Must Have: My New Book on ‘The Deep State’ Is Now Available! Must Have: My New Book on ‘The Deep State’ Is Now Available! I just finished my book, The Deep State: 15 Surprising Dangers You Should Know. The recent revelations from high-ranking FBI and CIA officials have exposed a conspiracy to influence government policies … undermine President Trump’s agenda … and even manipulate the outcome of a presidential election … far deeper and more sinister than anyone ever imagined. Now you can learn the details of how the Deep State operates … at every level of the federal government and at every level of the corporate world … what it’s agenda really is … and how it will stop at nothing to preserve its power and achieve its goals.